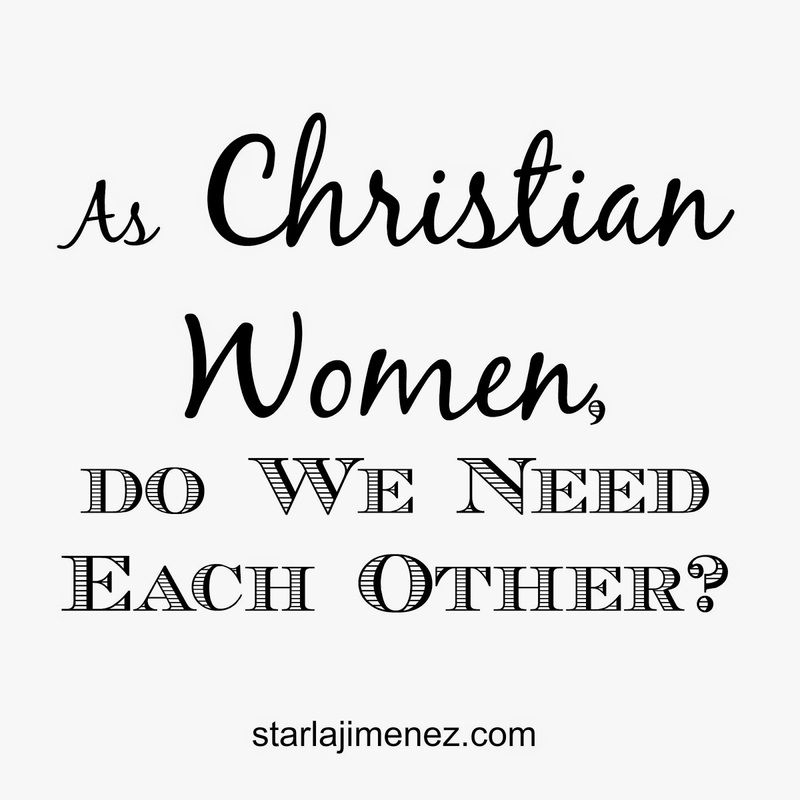 As Christian Women, Do We Need Each Other? Christian women, I want to, just for a moment, encourage you to pursue closer friendships with each other. God created us to need friends. Life can be hard at times. God allows us to go through things that break us in order to define us, mature us, strengthen our faith, and lead us back to Jesus. Sometimes the burden we carry is too heavy to bear alone. God is commanding us to be there for each other. Let’s not smile and look the other way when we see another sister in Christ in pain. Let’s step in, pursue Christ and be His hands and feet. God’s not asking us to figure it out all this on our own. He didn’t just create us and say okay, there you go, have fun, I’ll see you at the judgement. No! He is here with us every step of the way. He is asking us to trust Him and allow Him to work through us to help each other. He doesn’t NEED us, but He wants to use us to show His love, forgiveness, and mercy. All to HONOR HIM! Yes, it will be messy sometimes. Yes, it will be hard sometimes. If your burdens aren’t too much to carry yet, it’s coming, not to speak negatively, but we are surrounded by sin. When I become broken to my core, brought to my knees before God in such pain, a burden so heavy I can’t take one more step, what should I do? First turn to God and secondly ask a friend to share this burden with me, to help me. I should be able to trust that she’ll listen with a loving heart, readily pray for me and with me, understanding me and my pain, being there for me to encourage me to keep on pressing forward but also turning my focus to Christ when I start to get off balance in my thoughts and actions. Always being able to trust that what is confessed at the altar will never be spoken to others. It’s like an ER Dr that has a patient coming in to see him for a badly broken leg. The ER Dr comes in, sees the wound and says, “nope, to messy for me” and the patient is left there thinking What?? It’s your job!! It’s just like us as Christian women. We will at times need to be the Dr, helping others with their burdens. Sometimes we will be the patient, needing others to come around us to pray and minister to us. Not to stand on the side, watch and gossip about each other, but to minister to each other. Don’t hold back. Some of you may have been deeply hurt by other women and so you prefer to keep men as friends instead of women. I get it. I’ve been hurt by women who called me friend. I think that God doesn’t want us to trust in people, but to trust in Him. If we get wounded and allow God to pour over us his love, forgiveness and healing powers than we in turn can go and extend that same love and forgiveness to others. All to bring glory to God. We need each other. If we are staying in God’s word and praying, like we are suppose to, God will fully equip us to bear each others burdens. As the Gospel….the message of LOVE….matures us, God calls us to step up and be there for each other, Gently and Lovingly. Encouraging each other, as women, in Christ. Pray and ask God to bring up these Christian women that He wants you to be friends with. The Problem with Being Supermom. Learning to Wait on God’s Timing. Plus Free Printable. Love this reminder, Starla, that sometimes we need to do the ministering and sometimes we need to be ministered to. Isn't our God so great that He would give us one another for love, support, and encouragement? Praying your cup is filled to overflowing, my friend! This is SO true!! I've been so blessed with some amazing Christian female friends to lean on always. Thanks for the reminders! I love the dr analogy. And yes, I definitely need to be more intentional about making friends. we Christian women need to have fellowship with other Christian women – helps us stay balanced…. I love my friends – wouldn't want to live without them! I crave good friendships with Godly women these days. Motherhood can be surprisingly isolating! It's like I'm needing to learn how to make friends all over again! Amen! I am so grateful for all my girlfriends. I have quite a few friends that I call "best friends" and they continue to amaze me by how they show up again and again when I need some encouragement. God uses others to minister comfort and to bring us messages of hope. We need each other! Thanks for writing about this. What a great reminder, Starla! It's such a blessing to be able to walk alongside others on our life journey — meaning that we need to be there for each other, to pursue that friendship with commitment and stand by each other on the good days and the bad ones. It isn't easy but it sure can be beautiful! Thank you for sharing this! "He is asking us to trust Him and allow Him to work through us to help each other. He doesn't NEED us, but He wants to use us to show His love, forgiveness, and mercy. All to HONOR HIM!" YES!! 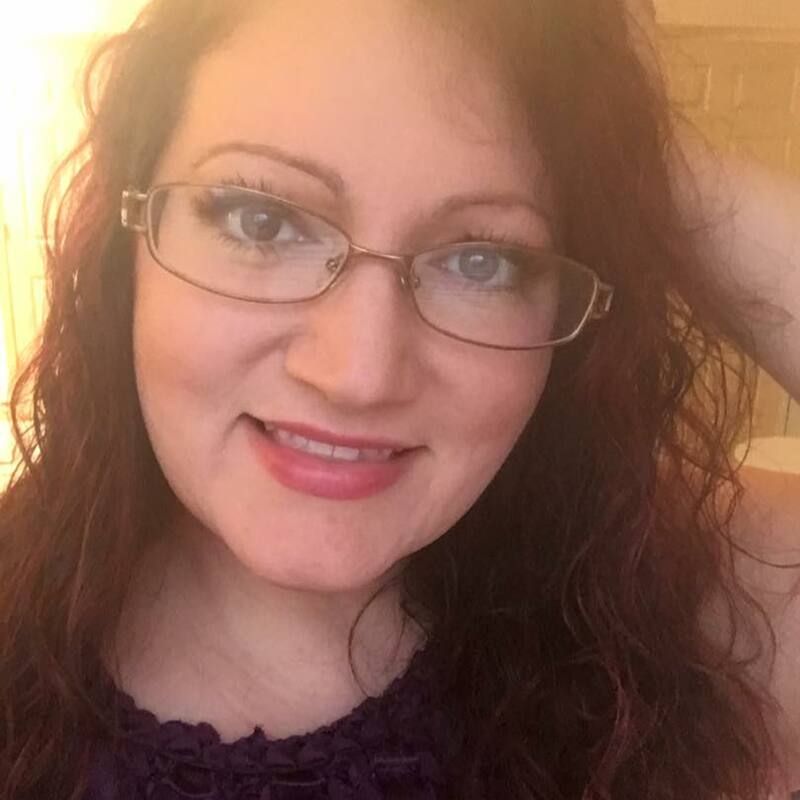 Great post, Starla! I'm so grateful that you shared it with us at Grace & Truth! What a blessing you have! Thank you for stopping by. You are so right, Andi. Thank you for commenting. Thank you, Brittany, for stopping by. God is amazing how He perfectly orchestrate these friendships. You are so very welcome. Thank you for stopping by. You are so right, Donna! It sure is! Thank you Ronja. I have been fortunate to have found a great church home surrounded by amazing women of Christ.I never realized how much I needed their strength and support. It has taken decades to get this place and I truly understand why God doesn't want us to take this journey on our own!